According to The Wall Street Journal, Google is going to add “Buy” button while searching for a product on the mobile device. This feature will currently be limited to the mobile device. It will be a part of the sponsored result on the “Shop on Google”. 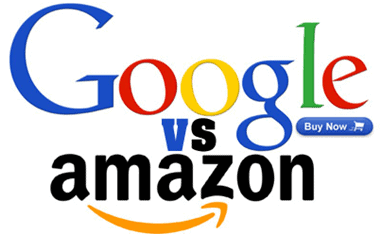 It will make Google as one of the largest marketplace on the web rivaling with the amazon and eBay. With the addition to the new feature, Google will take on the major e-commerce websites including amazon and eBay. Clicking on the “buy” button will redirect the user to a new page to complete the transaction including the various options including size, color and shipping details. The product will directly come from the retailers and the customers will not have real interaction with the retailers. This is the worrying reason for the customers as their website traffic will drop dramatically. However an advantage for customer is that they can store their credit card and payment details for further transactions with Google for any future processing. One of the biggest reasons for introduction of this feature on mobile device may be that as of now, most of the customers use mobile devices rather than using desktop for any product search. According to the WSJ, Google has not announced anything officially but experts thinks that Macy’s might be one of the first retailers.